I have bought the GTX1080 and it works fine with drivers newer than 372.70, no need in rollback or whatsoever! So happy! Especially for almost 4000 more points than my R.I.P. GTX670! I hit 8800! At the beginning I have BIOS error signal, but after I changed the TOLUD to 1GB, system started up perfectly. I even did not reinstall drivers, system updated them itself! It is so fckn unbelievable! I can turn everything on MAX in the most of my favorite games! Resident Evil 7 in 1980x1200 all on freaking HIGH. Unbelievable feeling! Look for numbers and other data in the attach. At the beginning my TOLUD was set to "Dynamic". That option worked absolutely fine with my R.I.P. GTX670, but somehow I've got BIOS error beeping and could not get pass through POST when I switched to GTX1080. All problems have disappeared soon after I've changed the TOLUD to "1GB" (thanks to computer god I have modded X220 BIOS). Also all the PCI-E ports were set to "HOT-PLUG - Enabled". Not error 43 issue requiring rollback to 372.70 like mPCIe/M2 ppl are doing. Using 373.06 driver. I am not planning to update video drivers to the version newer than 373.06 anytime soon, cause I prefer follow the rule "Leave well enough alone". Currently I do not have any problems with new titles so far. Anyways, all that optimization improvements and FPS gain that you can get with newer drivers are negligible in the light of bottle-necked bandwidth of my system. Gen2 is stable. Played RE7 for hours now. 1.2 opt no problems. I am still in shock by the performance myself! For example, I have managed to play RE7 for a little bit on GTX670, before it died and it was barely playable on lowest settings, with textures and shadows set on "Low". Now, with 1080 I can set all on high (no exclusions) and play it on 1080x1200 without any lags, freezes etc. Smooth as silk! X220, IPS, Intel Core i7-2620m, 16 gb, Samsung 840 pro 256 gb, eGPU + EVGA FTW GTX1080. congratz, are you able to have stable gen 2 connection? Yeah. Played RE7 for hours now. 1.2 opt no problems. Congratulations. The X220 is still flying along. An oldie but a goodie. The important question is, what EC eGPU adapter are you using? EXP GDC, PE4C? EC is a hotpluggable interface so we have seen some hits and then some misses there with 372.90+ drivers that otherwise error 43 block mPCIe/M2 ports. 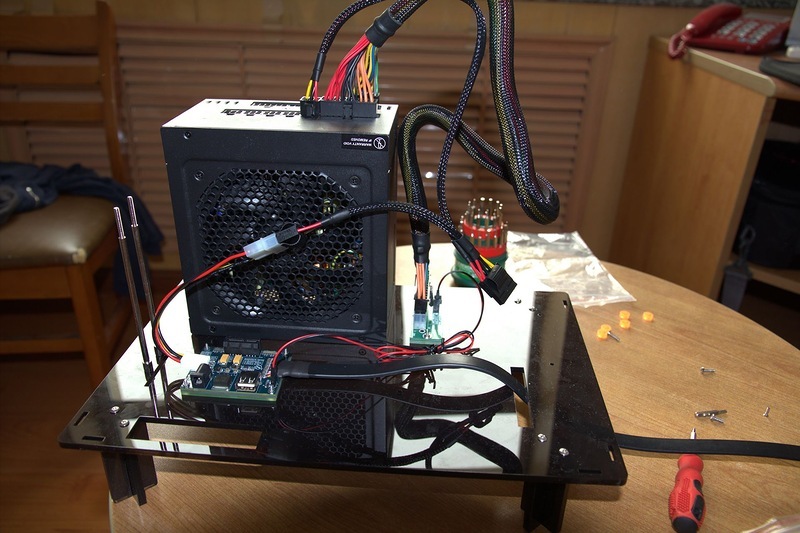 I am using the first PE4C version from Bplus with 660 PSU from Seasonic. There was a PE4C 1.2, 2.1, 3.0. 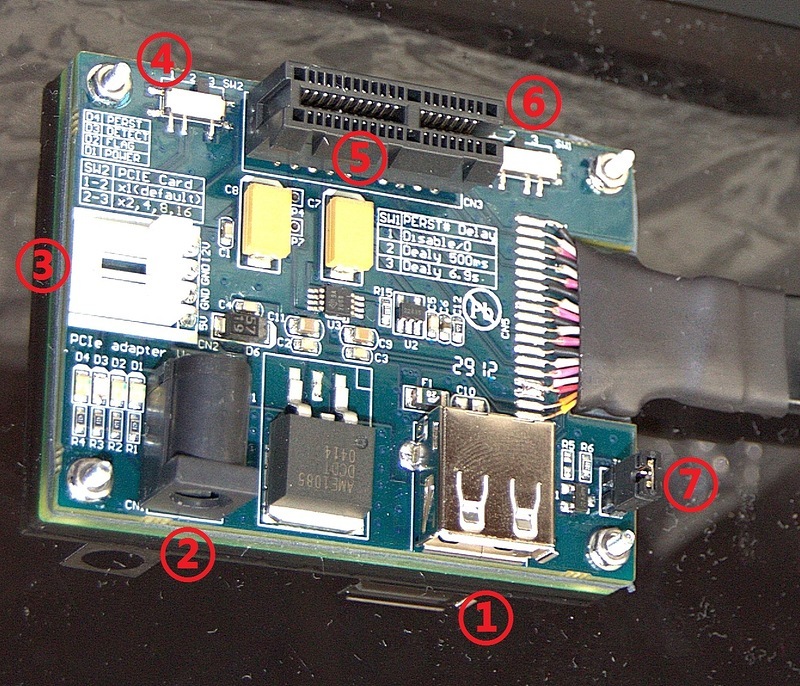 The first uses very short ribbon cable, the second a socketted HDMI connector on the eGPU adapter end and finally the PE4C uses a soldered cable. I found thePE4C 3.0 to be the most reliable for Gen2 signalling. Hence I'd like to be clear on which adapter you are using. Posting a photo would tell me. GTX1080 has different PCIe config space requires than your previous GTX670. The former requires a contiguous 256MB+ whereas the latter can use a fragmented 128MB+32MB. X220 known to set a high dynamic TOLUD hence why it wouldn't boot with the GTX1080 but could with the GTX670. Still impressive to see so much horsepower under the classis X220's hood. It is soldered cable version, I will post the photo a little bit later today, I even still have their acrylic case, LOL. Yeah, I am still in shock by the performance myself! For example, I have managed to play RE7 for a little bit on GTX670, before it died and it was barely playable on lowest settings, with textures and shadows set on "Low". Now, with 1080 I can set all on high (no exclusions) and play it on 1080x1200 without any lags, freezes etc. Smooth as silk! Alrighty. 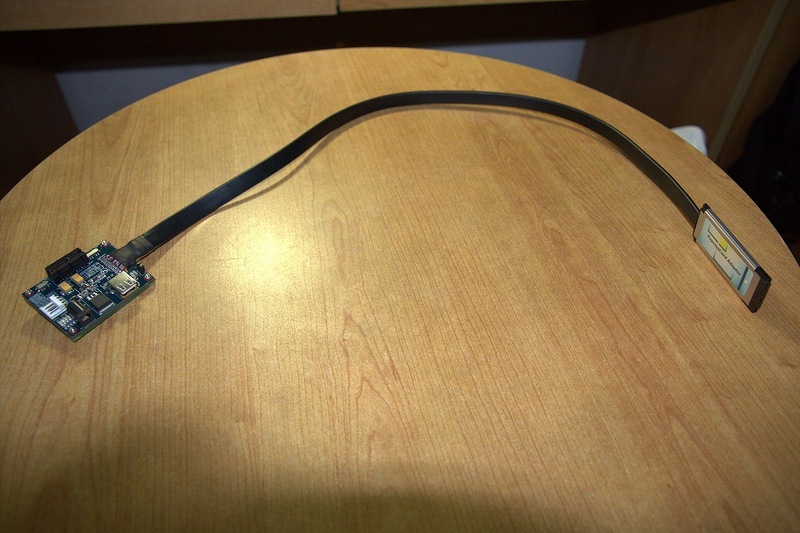 It's the soldered cable x1 PE4L 2.1b that was replaced by a better specced x16 PE4C 3.0. Both having more likelihood of a stable Gen2 signal than the socketted alternatives like EXP GDC. BPlus now sells the PE4L 2.1 for US$175, when it used to sell for US$65. PE4C 3.0 is now US$162. A staggering price for a passive adapter. Thankfully PE4C 3.0 is available for US$98: from a reseller here. So after 3 months I’m still happy with 1080, but there is something bothering me: previous 8800 points in 3dmark went down to 8400. Nothings changed in terms of hardware or software. What could be the reason of performance degrading?